Now available in paperback, this is a comprehensive and historically accurate account of one of the most important and influential military inventions in history. The most recognised military device of ancient times and a source of continued fascination and popular appeal, the catapult represented a major turning point in the evolution of warfare. 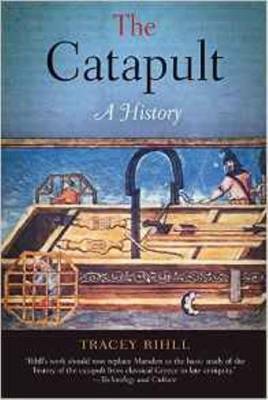 In "The Catapult", historian Tracey Rihll uses ancient literary sources and the latest archaeological findings to tell the story of this first machine of war. Dispelling any notion that the catapult was precision engined in the modern sense, she explains how a robust formulaic design allowed a variety of machines and missiles to be used for particular battlefield conditions or military tasks. Although the catapult was displaced by the introduction of gunpowder and cannon, its invention marked the beginning of mechanized warfare, the hallmark of modern fighting. Complete with line drawings and photographs, "The Catapult" is a major contribution to the history of technology and conflict.